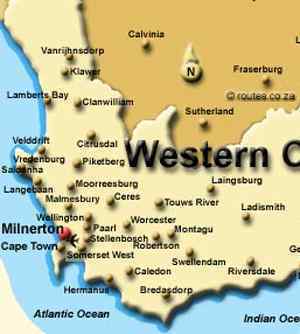 Nancy, I watched your video yesterday, on the 7 of 10 events, and you specifically mentioned South Africa moving west as part of the African roll.. Well, the southern tip of South Africa happens to have the only real dangerous fault line I am aware of in Southern Africa, the Milnerton Fault. This also runs up along the west coast, and only 8 km's from a nuclear power reactor, the Koeberg Power plant at Melkbos strand. not very far from Cape Town! I am very far from there, living in Pretoria. But since I have not come across any other Cape Town people who have raised this issue, and they seem to be blissfully unaware of what is coming, I believe this is extremely important and would want to ask the Zeta's advice. Millions of people's lives will be affected when that fault fractures, and nobody seems to be aware of the threat! Since March I have been feeling extremely uneasy about that fault-line. I even raised the issue on my group on Facebook, but as you know, people do not really worry about "these things" - it after all "only happens to others" But when I saw what you explained yesterday, I think I already know what will happen. Please, could you give more definite advice so I know whether I should push this warning even more? And anyone else reading here who live in that area can pass on the warnings too? A nuclear reactor that close would probably be a terrible added disaster. I know the scientists said it's safe - but their EIA's where not based on these events! [and from another] Is the Next Earthquake Due? [Nov 9] http://www.servicepublication.co.za/index.php/ Scientists believe this fault is due for a significant event once again. The last major earthquake here, registering an estimated 6.5 on the Richter scale, occurred exactly 200 years ago on 4 December 1809. However, the rest of South Africa seems equally at risk of experiencing a fairly big earthquake event. Experts say large areas of the African continent are in an unstable, tectonically active state. The most immediate threat, nonetheless, seems to be centred in Cape Town. Predictions of an imminent 'big one' became more common after a minor earthquake measuring 3.1 on the Richter scale shook these parts in 2003. The day after the 1809 earthquake, people travelled from Cape Town to stare in awe at geysers of muddy water spurting upwards from schisms that had appeared in the earth. The Zetas have made it quite clear why STS and STO share a common ground. Also that this is a school house to learn. So if a STS murdered a whole family, spent decades in prison (did not receive the death penalty) and changed the orientation to a STO and was released to help those who needed help by the compassion and unconditional Love that was learned while incarcerated, would they need to repeat their incarnation or would they proceed to 4th density by the hands on extra hard lesson that was learned?. Do those who ere ever succeed in the new times? I ask this for those who be in that position now. There are no quick paths. The suggestion that someone could murder a family, where presumably the majority of the members so murdered were innocents or bystanders, with scarcely any hesitation at the time, yet then move immediately to become highly Service-to-Other to a degree they would qualify for graduation to 4th density is absurd! This concerns Eastern Australia and the tipping point between it and Western Australia. The Zeta's have said NZ, on the end will gain 500ft from the tipping, and that Eastern Aus will have a figure lower than this. It figures being closer to the balance point of the tipping (near the left of the map) would have a lower rise in elevation than on the right. I know the lowlands will be flooded. What I'm unsure about, and because the tipping of our plate, is where the new seas will approximately be orientated. I'm trying to determine the best possible migration route to the ocean for fishing opportunities and to get an idea of where the nearest sea will be to our location encase we run out of food, are moving, or are giving others directions to head there. I am situated between the two X's on this map. The red is the basic 675 rise expected, but I put 200 less and 300 less to simulate a 200ft rise and 300ft rise in elevation due to subducting plate (less than the 500 of NZ), but I do not know. So the question is, what is the rough elevation rise for this area, or can a general guide be given as to the elevation gains in areas, starting from the tipping point of 2/3 of Australia all through to the east coast? Currently I think there is only WA = flooded and NZ = 500ft EA= ?gain. The Indo-Australia Plate bends in several places, as the tilt that this plate is forced to assume, being driven under the Himalayans, is extreme. Australia bends through the lowlands, as we have described, bending such that the eastern part of the Indo-Australian Plate can rest on magma and not just jut into the air. As we explained, the Indo-Australia Plate is assumed by some to be two separate plates - one for India and one for Australia - because of a bend point in the center of the Indo-Australia Plate. But the plate operates as one. But because the Coral Sea also is a weak point in the plate that is already bending of late, there will be a difference between the lift that Queensland gets vs the lift that New South Wales gets. The rise from the center of the Indo-Australia Plate is sharp going toward Queensland, as after bending down just east of Mount Isa, it can level off toward the Coral Sea where there is this additional bend. The heavy lifting that the section of this plate east of Queensland must endure is alleviated in essence by the bend at the Coral Sea. 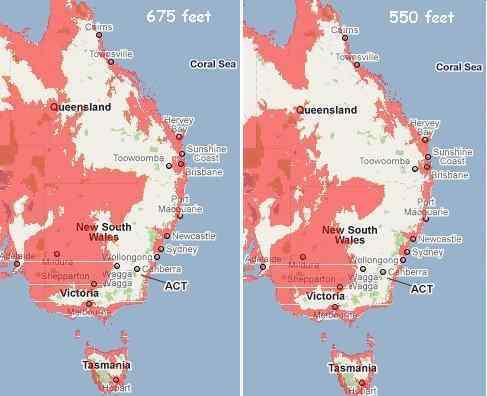 Because of this sharper tilt, more of Queensland will be under deep water, and Queensland will not experience an overall boost in elevation. New South Wales and Victoria, however, will bend at the Central Lowlands and then maintain a steady land shelf on toward the South Island of New Zealand. Thus, one can prorate the boost that New South Wales and Victoria will get. Assume the area around Melbourne to have an approximate 125 foot boost. Nancy, when 9/11 occurred the world almost stopped both fiscally as well as emotionally. Yet in the end only a few buildings came down and 3,000 people died. While those deaths are certainly important to their families I can only imagine the fiscal and emotional impact across the world when the 7 of 10 occurs in Indonesia. My question is can we expect a thousand times impact on our economy and our emotional state worldwide as the 7 of 10 occurs. If so won't the monetary system almost collapse if not at least be paralyzed. If so, it is imperative that everyone make sure that they are well prepared prior to this event. Since in the hands of man, there is no telling what the world leaders will do from as simple as wringing their hands to as much as imposing martial law. We have been asked many times about the strength of the financial system, and have iterated the many checks and balances that are in place and will be used when the time comes. The goal of the banking systems is to not only to survive, but to thrive. If they cannot thrive, they will certainly take all steps to survive. Closing weak banks and rolling the assets into stronger banks is a process that has been going on since 2008, the Wall Street crash, and will continue. This throws bankers out of work, throwing the bums out, but the system survives. A second defense is to limit banking services - only so many hours, only so much in savings withdrawn, smaller ATM withdrawals, that sort of thing. Next are price freezes which are imposed behind the scenes on the stock markets and bonds - no gouging by private parties. This does not make greedy brokers or bankers rich, but maintains the system. All of this has been in process already, during this the second Great Depression. During any catastrophe causing loss of homes and businesses and crops, insurance companies routinely go bankrupt. In recent years they have tried to buffer their loses by refusing to insure homes for flood insurance if in flood plains, or refusing to insure homes for quake damage if in earthquake zones. If necessary in order to support business in the region, polices will be written but will become worthless when a disaster hits. The insurance executives take their retirement funds and run away, leaving their clients bereft. Governments, who must attempt to repair infrastructure, will do little to help those who have lost all. Those insurance companies not affected will continue as before, and those who were wiped out will make no apologies. Volcanic Ash concern: one or two of those moving graphics of the world based on the ZetaTalk prediction show where the continents will be positioned after the pole shift. This is absolutely important for determin future safe areas. The new position of the U.S. will be at apporximately the same distance from the equator as now. However, the earth plate that it now sits on, will turn around counter-clockwise about 90 degrees. This means that the westerncoast (which currently runs north to south) will, in the future, be positioned parallel to the equator, aligned west to east. The Sierra and Rocky Mountains will also run parallel to the equator, or west to east. After the pole shift, and once the 12th Planet has moved out of close contact with the earth, our planet will resume it's rotation. I think it is reasonable to believe that it will turn in the same direction it was going before the 12th came for a visit. Also, the jet stream will be blowing from west to east, as it is now. This means, in relation to the new position of the continental U.S., the jet stream will be blowing parallel to the Sierra and Rocky Mountain chains (right now it blows perpendicular to them). Also, remember that our west coast volcanos (Mt. Lassen, Mt. Shasta, Mt. St. Helens, etc.) will be going crazy after the pole shift, and will dump a zillion tons of ash for many years on areas down wind. This ash will go up into the air and be carried eastward on the jet stream. So, the entire Washington, Oregon and California areas will not only be devastated by earth plate collision, but also by thick, dark skies and mountains of ash, as their new positions will be in directline of the volcanoes. The volcanic ash will be blowing parallel to the Seirras and Rocky mountains, in their future west-to-east position. Will the volcanic ash affect Lake Lahontan and Lake Tahoe areas? After the pole shift, the West Coast volcanoes will find the prevailing westerlies blowing ash out over the Pacific, not directly along the West Coast. In the new geography maps, Alaska will be on the Equator, with N America tilted upward toward the new N Pole at the Bulge of Brazil. The new Trade Winds will push some of this ash back against what had been the West Coast of N America, but the prevailing wind direction will be out over the Pacific. However the Nevada area will not be downwind from West Coast volcanoes in the Aftertime. Those close to and just downwind from these active West Coast volcanoes will of course find themselves loaded with ash, and should take all precautions. Volcanic activity is expected to be active, and creating a lot of ash, for some 25 years on average after the pole shift. However, this will be a diminishing issue, with the skies gradually clearing during this 25 year period. 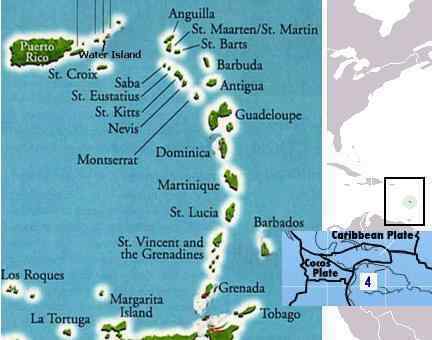 I would like to have information on the Caribbean and in particular on my island Martinique which is also a volcanic island. Do I have to expect both flooding and eruption as Edgar Caye mention the Pelée and it is in Martinique. Where is the closest safety area for me? What level or intensity of earthquakes should we anticipate for the São Paulo State, Brazil during the last weeks (not during the PS itself)? This information would help us to better understand possible highway disruptions - trying to avoid being trapped in the big cities. We almost never experience earthquakes, so I am curious about possible ones during the last weeks. We cannot be specific as to do so would be to reveal a timeline. We are not, at the current time, even detailing the changes to expect during the 8 of 10. We have given a clue as to what the east coast of S America can expect, in general, in our 7 of 10 descriptions. Where the Andes will experience quakes of magnitude 8-9 during the 7 of 10 due to confrontations with the Nazca Plate, and the northern border of the S American Plate likewise due to the confrontation with the Caribbean Plate, the eastern coast does not deal with these traumas. As the Atlantic Rift continues to rip open, the eastern coast moves with the continent of S America as it presses toward the Pacific. Thus, riding in the rear during those confrontations, it experiences less trauma. Perhaps that we can expect incidents at nuclear stations during the 7 of 10 events, i.e. in SE Asia on achievement of a 7/10, in the west and the north of the S America during its roll, during rupture of the New Madrid fault line, in the western Europe during a tsunami? I assume that earthquakes and tsunami can present some problems on nuclear pollution even before the pole shift. Any comments of the Zetas. If by the time of the pole shift the nuclear station is closed properly, but during the shift it has been subject to influence of a tidal wave and/or it is located in a flooded area i.e. will be flooded after the pole shift within 2 years. These things will render what impact on such station? What can people expect thus? Perhaps that we has problem on the Kola Peninsula with this, and I'm assured that the similar situation is in other locs of the world. Also I think that the tidal wave of the pole shift will make destructive impact on any buildings? Any comments of the Zetas. [and from another] http://www.hcibook.com/e3/scenario/nuclear/ Emergency shutdown causes explosive bolts to blow that drive control rods into the reactor completely stopping the nuclear reaction. Restarting the reactor after emergency shutdown may take several weeks and replacement of parts damaged during the shutdown procedure. [and from another] http://en.wikipedia.org/wiki/SL-1 The reactor was being prepared for restart after a shutdown of eleven days over the holidays. Maintenance procedures were in process, which required the main central control rod to be manually withdrawn a few inches to reconnect it to its drive mechanism. This rod was suddenly withdrawn too far, causing SL-1 to go prompt critical instantly. In four milliseconds, the heat generated by the resulting enormous power surge caused water surrounding the core to begin to explosively vaporize. [and from another] http://en.wikipedia.org/wiki/Chernobyl_accident A sudden power output surge took place, and when an attempt was made at an emergency shutdown, a more extreme spike in power output occurred which led to the rupture of a reactor vessel as well as a series of explosions. After the Chernobyl disasters it is understandable that mankind is nervous about the coming pole shift and the potential of nuclear disasters in their nearby power stations. We have encouraged all to contact the operators of these facilities, and advise them of the coming disasters, encouraging them to shut down the facilities at the first sign of major quakes and the like. We have explained that to a certain extent we, as benign aliens under the control of the Council of Worlds, can step in and remove the explosive potential from these power stations, as we have from nuclear bombs held by the US, by Russia, and by other nations. In a shutdown procedure, bolts that inhibit the nuclear reaction are dropped between the reactor rods, stopping the nuclear reaction cold. This is a simplistic explanation, as the power plant controls run on electricity which can surge or fail, thus interfering with a shutdown. Such electrical surges or failure, happening during a shutdown, has been associated with nuclear accidents at Chernobyl, and SL-1 for example. As the hosing from the magnetic tail of Planet X continues to waft over the Earth, such surge and brownout can be expected. We predict that many nuclear power plants will be shut down, permanently, during the Earth changes leading into the pole shift, due to a combination of earthquake threats or damage and electrical surge and brownout. The grid will, in any case, be down after the pole shift, so this is only an early loss. As to flooding of reactors during the Earth changes or the pole shift tides, other than interfering with the electrical controls, this does not create, in and of itself, a disaster. Water is used to cool the reactor rods. It is the absence of water, due to the pumps being inoperable, that is a problem. I just noticed that the Dalai Lama is in the news today. http://www.guardian.co.uk/world/2010/nov/22/dalai-lama-retirement-next-year Apparently, according to the news article, the Dalai Lama is "hinting" of retirement in about a year. These announcements originated at a New Delhi conference he was attending last week. Also within the story the Dalai Lama is also suggesting that it is "possible" that he would be the last Dalai Lama, although he said that "a new set of Tibetan leaders were emerging", al-be-it in exile. Would the Zetas care to comment on the suggestion of he being the last Dalai Lama and the timing of his suggestion of retirement to live as a simple monk at this time? The Dalai Lama understands that the pending pole shift will put his beloved homeland of Tibet in a polar region - the new S Pole. He is certainly advising those closest to him of this, and of his intention to focus the expectations of the public away from Tibet and away from a single source of guidance - the Dalai Lama. With traditional communication routes cut off, a continuance of the Dalai Lama's counsel would not be possible. Bereft, his public would feel suddenly cut off, and might even try to migrate toward Tibet, which of course would be a disaster. Leadership, under his guidance, will be emerging in various locations considered safe for survival in the Aftertime. By this, he is guiding them to safety. Whatever else comprises a migrating hoard, they are comprised first and foremost of individuals. What motives an individual? For some, unable to comprehend that the cataclysmic Earth changes have affected the entire globe, they will be seeking government relief efforts. They will attempt to head in the direction of the seat of government , or a military installation, or a local hospital at a nearby city. They will be passing migrants coming from those places, who are leaving. Those who survived the pole shift in the cities already understand that relief is not being offered and food has run out. Starving, these migrants will be seeking agricultural farmlands where they assume something to stop the cramping in their gut might be found. Some migrants, separated from their loved ones, have a specific destination. A husband, working away form home, trying to return to wife and children, hoping they survived unharmed. A family in the city, led astray by assurances from their government that the horrors of the last weeks were going to pass and were the worst of it, trying, too late, to get to relatives in the country. All these migrants will be hindered by what the terrain presents. Almost all will be on foot, with horse, bike, or motor bike as options in the rough terrain. Bridges will be broken, crevasses will loom, and flooding will make all but the highest terrain likely to afford a continuous passage. Migrants will also be found coming and going from presumed routes, long established and long used prior to the pole shift, which will now be blocked. Boats will often prove the best means for migration in flooded areas. How do the Hawaiian Islands fare during the 7/10 events? When should we expect tsunamis and to what degree? Also, I am calculating the altitude necessary for a safe location in Hawaii. This is to prepare a place that will not be inundated during the PS or the following rise in sea level. To be cautious we would hopefully take refuge during the PS itself as advised in the Safe Locations for Hawaii at "the highest altitudes." In Safe Locations it is also advised that although water can go around as well as over the islands the general recommendation of 100 miles in, 200 feet up does apply. 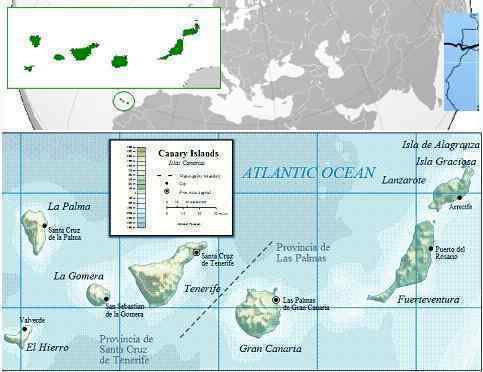 However, the islands are small and it is difficult to be significantly far from the coast. If I prorate the general advice and use the higher estimate for the height of the sloshing tides, 600 ft, I figure the safe elevation to be 600 ft minus 4 ft for every mile inland. (Of course, there are many gulches and ravines which must be taken into account.) But the islands will also be raised during the PS due to the compression of the Pacific. I understand from a question I asked of Nancy years ago that they will rise "as New England and New Zealand," a range of 450-500 feet (I'm sorry I can't find the link for this.) So if the sloshing tides occur before the rising land the necessary elevation is 600 ft minus 4 ft/mile inland but if the land rises first the necessary elevation is the figure above minus 450-500 ft. The elevation needed to remain above the 675 ft rise in sea level following the PS would be 175-225 ft. For some time I had concluded that there could be no certainty that the land would rise before the oceans slosh, but now I question that given an exchange on the ZetaTalk Chat Q&A for October 2, 2010: "The hour of the pole shift will involve the globe on the move, and at the end of that hour, plates crashing into one another. It is not until the end of the hour that mountain building in the Sierras and compression of the Pacific will start. Water on the move does not move instantly, but is paced. Thus those along the eastern side of the San Joaquin Valley can wait until the hurricane force winds start to die down, shortly after the big jolts have occurred, and then trek into the foothills of the Sierras before the flooding of the valley begins to affect them." Would the Zetas care to comment on my assumptions and conclusions? There will be tsunami generated from the great quakes on Japan's North Island during the 7 of 10 scenarios, but these will not strike Hawaii with an immense tsunami. Given the tsunami warning system in the Pacific, this should not take the residents by surprise nor create great devastation. As we have stated, tsunami tend to go around the Hawaii Islands, as there is great latitude to move to the side in the great Pacific, the opposite of tidal bore where water finds itself in a compressed situation with no escape but up. As we have stated, the tsunami generated due to the quakes on Japan's South Island will go against Japan, not across the Pacific. Additionally, the swamping of Victoria on the island of Vancouver is anticipated to be due to jostling water in the straits due to a domino effect from the jolts in the plates across the Pacific, not due to a tsunami.Where the 7 of 10 is not expected to generate severe tsunami for the Pacific Rim, the 8 of 10 has not been detailed as yet beyond the mention of continuous plate movement in some areas. Since the Pacific will be shortening, it goes without saying that there will be tsunami included in the 8 of 10, as we detailed for Puget Sound recently. Hawaii is steadily rising now, after every major quake in the vicinity. As we explained, the Pacific is not one plate but at least four, and both the Hawaii Islands and the Society Islands are being raised on the western edge of a the Pacific Plate portion that is subducting under the West Coast of N America. Where these islands can anticipate an increase in elevation, it will not be more than 140-160 feet. The Hawaii Island have been formed from volcanic material, and thus have many deep ravines in which tidal bore will occur. You should not be trying to dissect the island such that you have it down to the exact foot of land which might be safe from waves, where one step toward the beach puts your foot into water but a step in the other direction is on dry land. We cannot, obviously, be involved in such a silly exercise. Be high enough that you will be safe, as the islands are not that large that a return to home cannot be done after the pole shift. Will Mumbai and Banglore sink during 7 of 10? Mumbai and Banglore are some of India's largest cities in this heavily populated country. Other than experiencing large quakes during the 7 of 10 scenario that will sink Indonesia, India should be relatively unaffected. Banglore is inland, and will not flood during the slight sinking of the west coast of India anticipated during the tipping of the plate holding India during the Indonesia devastation. Overall, the western border of the plate holding India should sink 10 feet, which will affect the Indus River valley in Pakistan, but to a much lesser degree the India coastline. Mumbai is lowland, though in the main is above that 10 foot mark. Any plate movement will create choppy waves, so Mumbai will certainly experience irregular tides and in particular high tides, but not beyond what it has experienced in the past during storms. I was hoping to know a litle more detail regarding "the folding of the pacific". It seems the Mariana Trench as the most likely point where this "Fold" occurs. Will this folding cause the Philippine Plate to rise on its eastern side? Seems a lot of elevation in the Philippines eastern ridge - would these rise further or will the drop in the tongue as described prevail - nullifying the folding effect? This Associated Press report of November 23, 2010, sounds ominous: "North Korea shells South Korean island, killing 2 marines; Seoul fires back, scrambles jets." Is this more saber rattling that will likely not escalate? Also, the mainstream news is reporting food shortages and hunger in North Korea. Is North Korea experiencing famine again and, if so, what can other nations realistically do about it? [and from another] Is N. Korea doing what the Zetas call "sabre rattling"? And is the old kook pot bellied dictator still calling the shots? During any transition in a dictatorship, those in the palace guard become nervous about the outcome. Kim Jong-il was, if nothing else, hard headed and presented a blustering front to the world. His son is a shadow, and those in the palace guard close to the family are well aware of this. Before the old man dies, passing the wand of leadership to the son, they want to establish a mystique around the son. He should be seen as tough and touchy, like his father. Thus, the deliberate confrontation on a small island - big enough to hit the news, but small enough not to inflame the world into another Korean War. This question has to do with loved ones who have accepted the premise of the pending poleshift, but are trying to say they wish to stay where they are - "the better to explain what is happening", or to ostensibly care for those that are unable to leave the cities and comfort them in the last throes (not necessarily because of any family members, but co-workers and social acquaintances). I'm sure there are others that are encountering loved ones who are trying to make this case, but I'm not convinced this is anything more than a rationale to avoid preparing and dealing with the coming reality. I say that because when I have these conversations, the people making this argument invariably can't seem to discuss it in a calm manner, and prefer not to discuss it at all - but that doesn't necessarily mean they aren't being sincere. Being that we are often too emotionally close to those that make this argument, how can we tell if this is truly the wish of the souls we are trying to help prepare by making plans to leave the cities. Or if this is simply another way of "burying their heads in the sand" by acknowledging the poleshift but not doing anything outside their normal routine? (I'm referring to those who aren't too old or ill to prepare; obviously in those cases, where they require 'assisted living' situations, they recognize their limitations and don't want to add to anyone's burden.) I have the dreaded suspicion that when the "7" unfolds, they may change their tune, and I'd hate to think they'll face the cataclysms with the unspoken words "I told you so!" or "I warned you!" haunting them endlessly as they frantically try to deal with it all. People in denial seldom bother to develop a story to deflect arguments or facts. They simple wave their hands in the air, get red in the face, and march off, muttering. They shout away the facts, refuse to look at them, and loudly deny things could be anything but normal. When an explanation for failing to plan is given that includes staying in place to assist those who might be left behind, something else is in process. Many souls have as their mission to assist the least of those among them during the terror filled hour of the pole shift. This includes dying with those they are determined to assist. Such assistance most often does not have the goal of helping those left behind to safety, as such missions already include being in a location that is a death trap. They are there to assist those trapped, injured, terror stricken and feeling abandoned. We have stated that in the end love is the only thing that matters, as it is carried forward by the soul into future lives where the body is left behind, dead and rotting flesh. What type of comfort do these mission driven souls envision giving? For those feeling abandoned, a concept many young souls are likely to entertain, they will be reassured that death is not the end and that many spirits are in attendance to help them. For those dealing with excruciating pain, which is unlikely to abate before death, death may be facilitated. For small children, who are likely to be abandoned by immature parents, the comfort that comes from a calm adult taking charge of them is obvious. Obama and Biden are here in Kokomo to tout how his policies have helped the towns auto industry. Seems like a ho-hum reason to go there. But Kokomo is one of the places the elite had plans for. Any coincidence? Other than meeting in Washington DC, the President and his VP are rarely seen together. This is a precaution against an accident or assassination attempt taking both of them out, leaving the powerful US government temporarily leaderless. Trips abroad do not involve both together. Meeting heads of state do not involve both together. So what would it be about insignificant Kokomo that would bring them together in this way? Kokomo, as is known, is one of the sites developed where a carry-on government could function. The infrastructure has been built, underground, through many years of burrowing and tunneling - an open secret. Clearly Denver is the first choice, and many branches of government are already ensconced there, including a large contingent of the US Military. But should Denver become unavailable, for any of a thousand different possible reasons, Kokomo would be utilized. Obama and Biden were there for a final check of the facilities. I am very new at this site, am finding the Zeta's reports remarkable. I have scanned this site, but can't find an answer, perhaps the Zeta's might be able to help. My question is: the 'thumb' area of Michigan, are there any parts of it that will be safe? How far in from shore will the sloshing affect occur, or will it all end up under water? A good portion of this area is farmland, would the topsoil be destroyed from the water? Lake Superior is the largest body of water in the North American continent, and very deep. How severely will the bordering areas be effected during PS? Will Whitefish Bay on eastern end act as a funnel? Our large multi-household family resides in Sault Ste Marie at eastern base of this "funnel" How far inland must we move? This end of Michigan's Upper Peninsula is quite flat and low elevation. How will this area be effected by the ocean rise in the two years after PS, if at all? Many of your questions have been addressed in the Safe Locations documentation, as a link from the page for Michigan. Our general advice is to be 50 feet above the lake level and 10 miles from shore for lake sloshing, and if you are not on rock then to add more elevation or milage for safety as soil can melt. As we mentioned when detailing changes for the Great Lakes, the area of Wisconsin and upper Michigan will be splitting open, which is the trend in place already. Sault Saint Marie is positioned where Lake Superior drains, and this of course is where a widening split can be expected. There can also be local tearing, as we have described for Wisconsin, which will be ripped down along the Green Bay peninsula. Stretch areas have silent quakes, as these crevasses just open up with little warning, as occurred recently on the Michigan peninsula. If anything, Lake Superior will ultimately be lower, due to the locks being broken, though the torrential rains following the pole shift will create temporary flooding everywhere. The rise in sea level elevation to 675 feet will of course not affect the lands around the Great Lakes, which are at a higher elevation. Thus, except for local sloshing and the tearing that can be expected from a widening Seaway, your area will have a relatively uneventful pole shift experience. I have a simple question about our Moon. After looking at a picture of the moon, I suddenly realized that the incredible amount of craters could be related to past pole shifts? It seems obvious now. Perhaps a good example of how much debris is present at the actual moment of the shift. 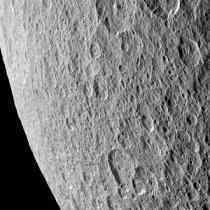 For example, the largest crater on our side called "Tycho" caused debris that covers literally a third of the side that we can see! I understand that the tail of PX is loaded with all sorts of riff-raff, including massive boulders. This seems a sure sign of devastation from tail debris from past pole shifts. What do you think? It seems like a moot question at this point. I already seem to have possibly answered it myself! There is this link here: ../science/s65.htm as well as how it was formed. But do you have any additional information? Any extra things that may have been left out? Implicit in this question is a question about the potential of large impacts on Earth during the forthcoming pole shift. Both the Earth and Moon formerly lived in what is now called the Asteroid Belt, an obvious collision zone. We have explained that the Asteroid Belt was once home to many life bearing water planets, which were all pelted to pieces during the time when Planet X passed through the solar system at that distance from the Sun. The Sun in those days was more massive, and thus the Repulsion Force held Planet X at a greater distance during his passages. We have described the forthcoming passage of Planet X as being such that the moons of Planet X will have no possibility of an impact with the Earth or her Moon. The moons of Planet X will stay within 5 million miles of the corpus of Planet X, which will stay 14 million miles from the Earth. In the past, during the passages through what is now the Asteroid Belt, such distances were not always possible, and the moons of Planet X would be slung into the water planets riding that orbit with deadly results. Molten magma spewed, ultimately forming the asteroids. Water was scattered to form what are now called the comets, dirty snowballs. It was during this time that the Earth sustained her great wound, which was the gouge that is the Pacific Ocean, creating a lopsided globe that is still trying to balance its land masses during what is called Continental Drift. It was also during this time that crater impacts such as the Gulf of Mexico were formed. The Moon, which is today without water and in those days was primarily a chunk of molten lava, could not soften the craters formed during these collisions by a water wash so they remain visible today. Both the Earth and Moon were slung out of the Asteroid Belt, to find each other and their current nitch in the Earth's orbit. Mankind should not assume that such collisions will occur during the forthcoming passage. Will Hong Kong sink during 7 of 10? If yes, how serious it is? Hong Kong will be inundated by seawater during the 7 of 10 sinking of the plate tongue holding Indonesia, losing approximately 20 feet in elevation. Where much of Hong Kong is in the hills surrounding the city, it will nonetheless be devastated. Services such as clean water and electricity will be negated, so the desperate residents of the high rises will be living like birds in the trees. Where this will be a shock, it is a shock that will come to Hong Kong in any case during the pole shift. Thus, by forcing residents to move to higher ground, the 7 of 10 devastation is actually an assist toward survival. This morning an image was found on the magnetic simulator website http://www2.nict.go.jp/y/y223/simulation/realtime/index.html This image is in the opinion of the membership very important as today the EQ activity around the south pacific is fairly active. Could the Zetas elaborate on this image, if possible. We have often referred to the Earth as being caught in an eddy flow in front of Planet X as it moves outbound from the Sun and toward the Earth. Particles, flowing from the Sun and coming around behind Planet X, tumble into the void in front of Planet X and roil. This tumbling action keeps the Earth and the other planets caught in the eddy flow from leaving this trap. Something similar has happened this day to the Earth's magnetic field, where an eddy flow has developed behind the Earth due to the strong flow of magnetons coming from the direction of Planet X. Earth is trapped in a magnetic dance with Planet X, which is the basis for the Earth wobble which started in early 2004 after Planet X arrived in the inner solar system in 2003. Consider the Earth to be a mouse trapped in a narrow tunnel, from which it cannot escape. The wind blows, and at first the mouse tries to seek shelter by turning sideways, or in this or that direction, but the wind continues to pick up. Finally the mouse crouches down, ears flattened against its head, facing the wind which it has no choice but to endure. We have described a complicated dance between the Earth and Planet X, with many twists and turns possible. Where the mouse may have made a decision on the best stance to take, the Earth is merely responding to movements on the part of Planet X, and can and will move in many directions between the present and the start of the last weeks. Where the mouse has chosen to face the blast, if Planet X moves slightly, the Earth may suddenly move into opposition, has she has before pointing her N Pole toward the Sun, facing the enemy directly as the mouse has done. Or the Earth may flip sideways into a temporary lean to the left, as might happen to the mouse, thrown sideways, if it loses it footing. Planet X is continually moving closer to the Earth. That an eddy flow of magnetons has formed behind the Earth, for the first time, shows that the blast coming from Planet X is stronger, covering a vast area around the Earth, so these magnetons have no escape! Like the mouse, they are trapped. 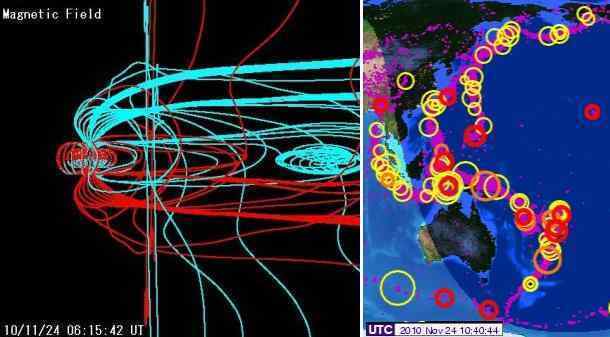 What will the wider blast of magnetons coming from the N Pole of Planet X mean? As with the mouse, who might dash about and try different positions as the wind picks up, the Earth has been more mobile during the early dance with Planet X. She might have leaned into temporary opposition or a temporary lean to the left, but this was slight. Now, these positions will be more violent, and more extreme, and this is what will cause increasing plate movement, the 7 of 10 scenarios. It is no coincidence that the entire eastern side of the Indo-Australia Plate was outlined in quakes during this first eddy flow blast. Zetatalk mentioned that New Zealand will remain well above sea level after the shift and polar melts. The active volcanoes on New Zealand's north island will not increase their activity during the pole shift, due to the relief of pressure suddenly available under their cones during the hour of the pole shift. New Zealand has two super volcanoes in the North Island that haven't been active in the last 10,000 years. However, there is alot of uncertainties with all these earth changes and plates movements during the PS, can we expect these super volcanoes to remain quiet after PS? This information would assist people in their migration plans after PS. As with evidence of great craters on the Moon or on Earth's surface, sustained in the past when both the Earth and Moon were amid the collisions in what is now the Asteroid Belt, supervolcano eruptions are much misunderstood. Yellowstone, and other active or potentially active volcanoes that have been termed supervolcanoes due to evidence of massive eruption in the distant past, will not give the Earth a repeat performance during the pending pole shift. They should be considered as the volcanoes they are today, with their potential gauged by their performance within the past 10,000 years. If the Earth sustained impacts that created the Gulf of Mexico as a crater, and torn away half the proto-Earth to leave a gouge the size of the great Pacific Ocean, when what do you suppose this did to her molten magma? Immense pressure was applied, during such impacts, with the magma going in any direction it could under this press. Thus, the evidence left behind by the prior eruptions of Yellowstone and the other supervolcanoes. Such supervolcano eruptions will not occur during the forthcoming passage of Planet X. This is someone in China who doesn't know English asking me help him with these questions: I'm from Changchun City, Jilin Province, China. Most Probably I might choose the townships near the city of Jiaohe, Jilin Province as my escape location.After I have luckily seen the future map of the world by your hard work, it seems that unfortunately Changchun City will become surrounded by sea .My quetion are: what extent of disaster will Changchun City suffer during the coming poleshift? which parts in Jilin Province are much more safer than Changchun City itself? Jilin will be blessed with highlands and a warmer climate in the Aftertime, as well as proximity to the ocean in the Aftertime, which will provide a food source from fishing. Those in Jilin Province should prepare for this time by building boats, as Noah did, and learning what they can about ocean fishing techniques. Where Changchun City will be flooded in the Aftertime, it will take two full years for the waters to reach this height of 675 feet. In the mean time, residents can move to higher ground and even migrate toward Alaska and eastern Russia. Its greatest worry will be the large number of drowning and starving migrants from N Korea. Boats can also be used to assist the migration of these Koreans toward less populated areas closer to the new Equator.